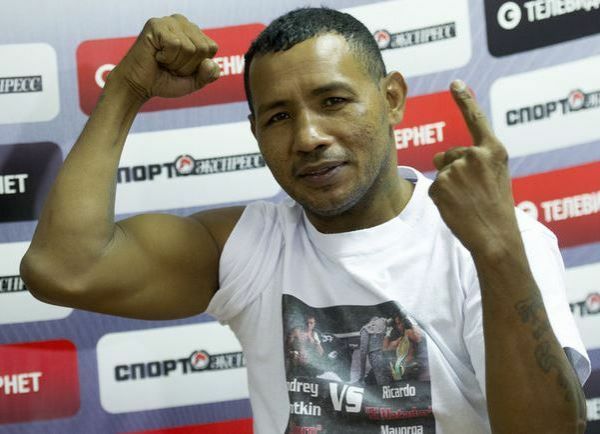 The trademark of former two division world champion Ricardo Mayorga is to dish out a lot of trash talking in the prelude to an upcoming fight. This has been the case since he began his career many years ago and now that he’s close to the end of his career he does not intend to change. At 45-years-old, the boxer known as “The Matador” will fight against heavily hyped Guatemalan prospect Lester Martínez, whom he promised to crush in his professional debut on April 6 at the scheduled main event of a card taking place in Guatemala. Mayorga has not fought since April 7, 2018 – when he lost by knockout to Rodolfo Gomez Jr. The Guatemalan will make his professional debut and there is a lot riding on this fight. Martinez is coming off an impressive amateur run, which saw him become the champion in the last edition of the Central American and Caribbean Games, which took place in Barranquilla, Colombia in 2018. He also picked up a gold medal in the last Central American Games in Nicaragua. In Mayorga fashion, he is promising to end the fight in the very first round. If he loses, Mayorga intends to skip his flight back and intends to walk all the home in shame. “I will beat him by knockout in the first round. If I do not knock him out, I will return to Nicaragua by walking all the way home. I will kill him in three minutes. Thanks to Léster for accepting the fight, not everyone agrees with the idea of this fight because they know that I will beat him up,” Mayorga said between various insults and promises during the press conference to promote the event.